Trolls slammed by Pink for criticizing post including 2-year-old son without a diaper. World of the Internet can be a harsh place especially when you are at the pinnacle of fame. Same was the case with Pink when she posted a diaperless photo of her 2-year-old son. Nonetheless, Pink is not one of those people who hold back on the trolls of the internet that target her for posting the good times with her family. Pink often slams internet troll that aims her family. 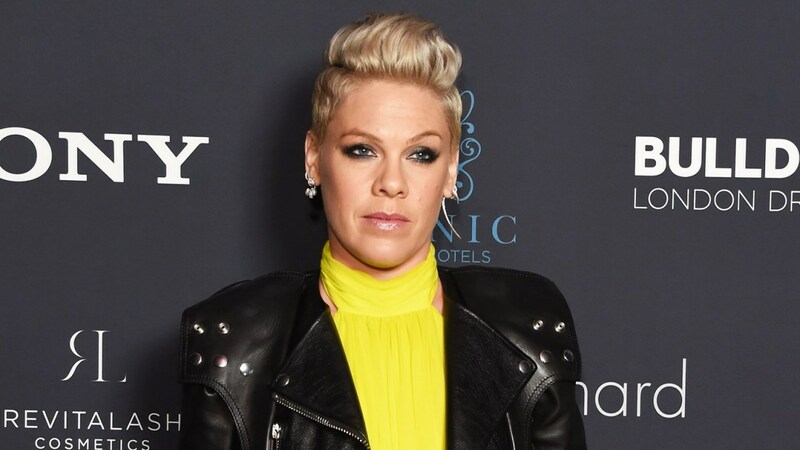 Pink took to Instagram on Sunday, March 31, to share a snapshot which sees the 39-year-old singer checked out a pelican alongside her 2-year-old son Jameson, and 7-year-old daughter Willow. Meanwhile, the area underneath the toddler’s shirt was scribbled out. The songstress who announced her eighth studio album, Hurts 2B Human, is set for release on April 26, earlier in the week, bashed the internet trolls in the caption which carried a sarcastic tone. Also read: Jennifer Aniston's Hottest Photo Shoot Yet - The 50-Year-Old Star Rocks Black Bikini Top and Tiny Shorts and More! The singer's husband, Carey Hart, baby daddy of her 2 children, has also been known to speak up when it comes to his kids. In January, the 43-year-old author fired back at trolls that bashed him for teaching his daughter how to shoot a rifle. Pink and Hart have enjoyed a married life since 2006.